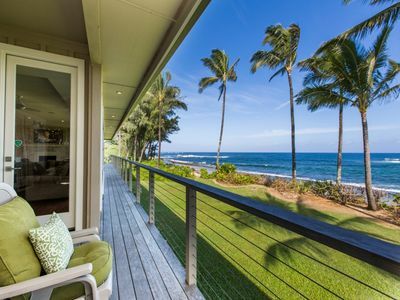 Live like a kamaaiana (that’s Hawaiian for “local”) at Malu Kauai! 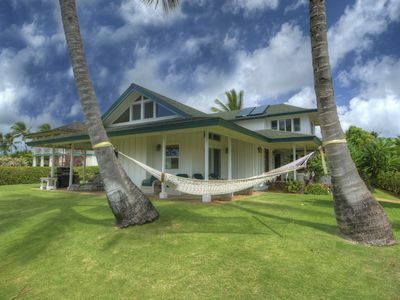 Tucked away in the largely residential Niumalu, you’ll live like a true Islander in this charming cottage. 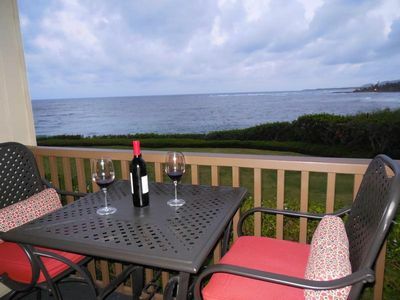 Located near the island center of Lihue, you’ll have all the conveniences within minutes. The famous Duke’s Canoe Club, with its dining and live music, is just a mile away. 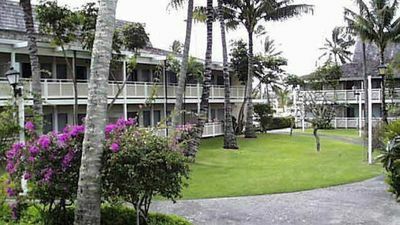 Also nearby are both Anchor Cove and the Harbor Mall, when the lure of shopping and dining is calling you. 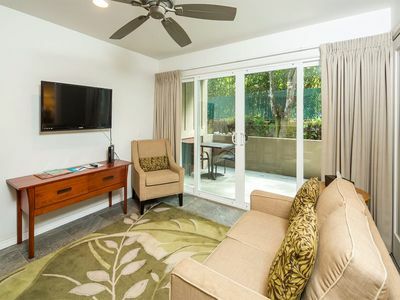 Your 1 bedroom, 1 bath vacation cottage offers a spacious living room with cool tile floors, a ceiling fan and a seating area for 3-4 in front of a flat screen TV. The futon sofa does double duty as a bed for overnight guests. A island-inspired dining table for two sits beneath a large window. 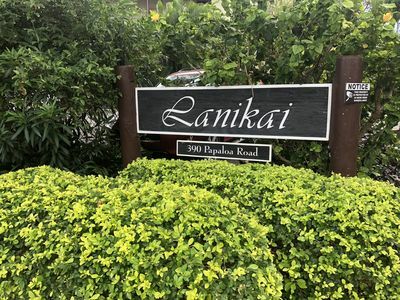 From here, walk out onto your private lanai, with views of the a landscaped yard with beautiful tropical foliage. 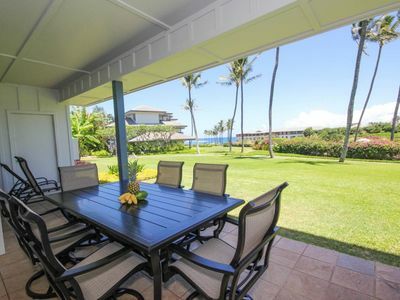 Have a seat in one of the rattan chairs and enjoy your morning coffee as the tradewinds cool the air. 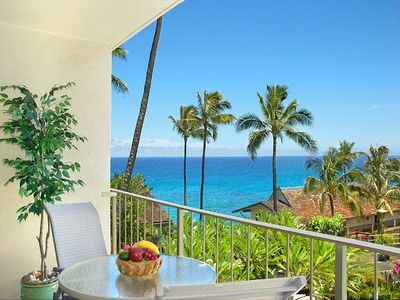 Around the side of the lanai are up-close-and-personal views of a lush green mountain. 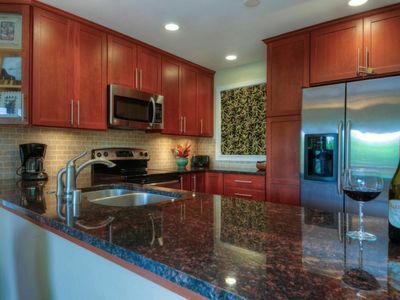 The kitchen is compact, but fully equipped with everything you’ll need for snacks and simple meals, with a full-size refrigerator, stove and a counter-top microwave. 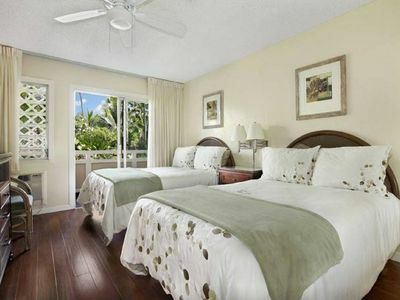 The cozy bedroom boasts a queen size bed, with a ceiling fan and AC, dresser and a large closet. The bath offers a tub/shower. 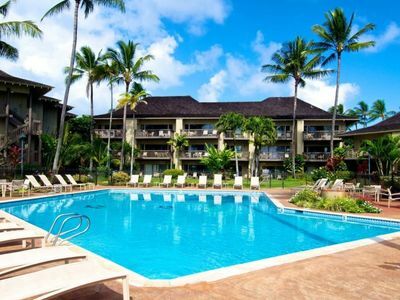 Malu Kauai’s centralized mid-island location makes it easy to get to any of the attractions Kauai has to offer. 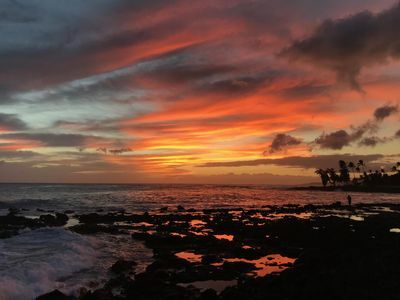 The world famous Poipu Beach is just 20 minutes away. Don’t forget to pop into Brennecke’s for a meal overlooking the water! 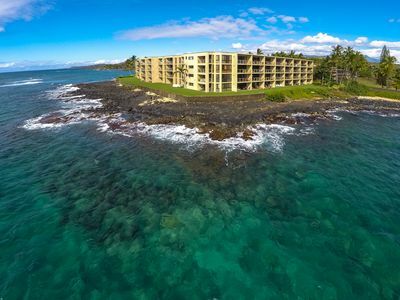 The walkable and eclectic town of Kapa’a is just 12 miles away in the other direction. 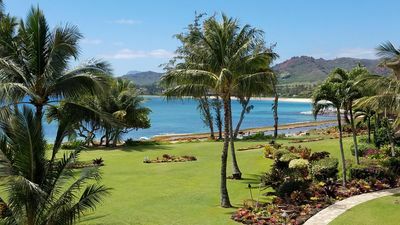 Take a day trip to the north shore and visit the Kilauea Lighthouse, elegant Princeville or bohemian Hanalei town. Head to the west end of the island for the “Grand Canyon of the Pacific” - Waimea Canyon. It’s sure to take your breath away! Make sure you get to Hanapepe for some taro chips at the Taro Ko Factory and then drive all the way to end of the main highway to Polihale State Park for a magnificent, largely deserted beach. 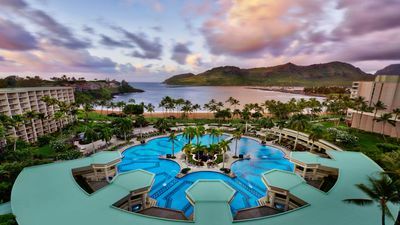 Whether you do all of these things, none of them or a completely different list of activities, Kauai is sure to capture your heart in all her breathtaking beauty. 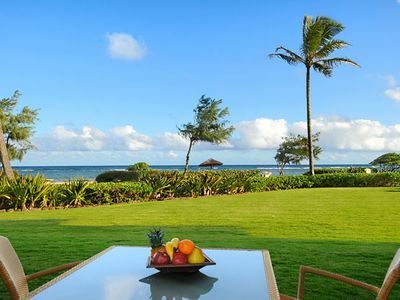 We look forward to welcoming you to the Garden Isle of Kauai. Beachfront Luxury Dream House with A/C and Gym! 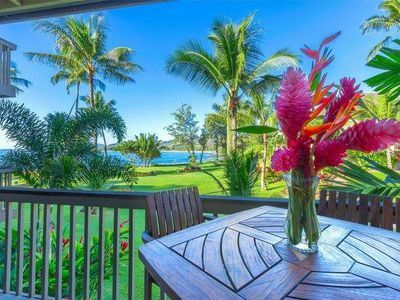 Wonderful Ocean Views and Short Walk to Poipu Beach Park! 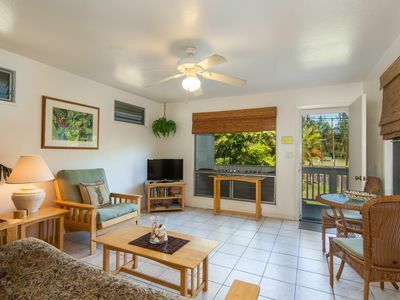 Luxurious, Remodeled 2-bed/2-bath, Wrap-around Lanai, Short Walk To Beach! 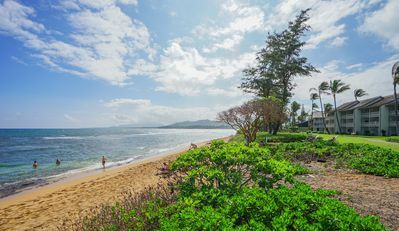 Last Minute DEAL March 23-30 at Marriotts Kaua'i Beach Club. DONT MISS OUT. 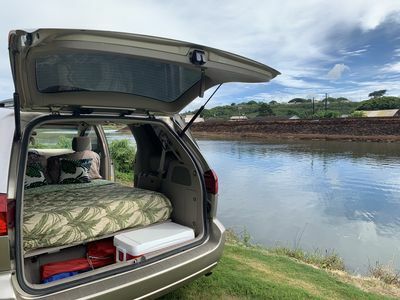 Kauai in a Camper Van!